HumCommerce is offering a limited time Lifetime Deal (LTD) on the pro plan for a one time fee of $49. The LTD usually costs $499 but it is up for grabs at just $49!!! Every marketer or website owner dreams of a 100% conversion rate after a user lands on their website. Unfortunately, the reality is most websites manage to convert only 2% of the visitors who land on their page to customers. This is why you need HumCommerce! 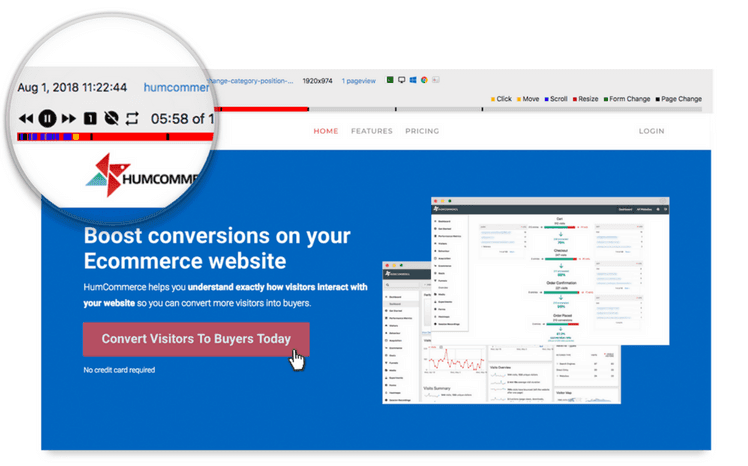 See how visitors interact with your website and convert them into paying customers with HumCommerce. 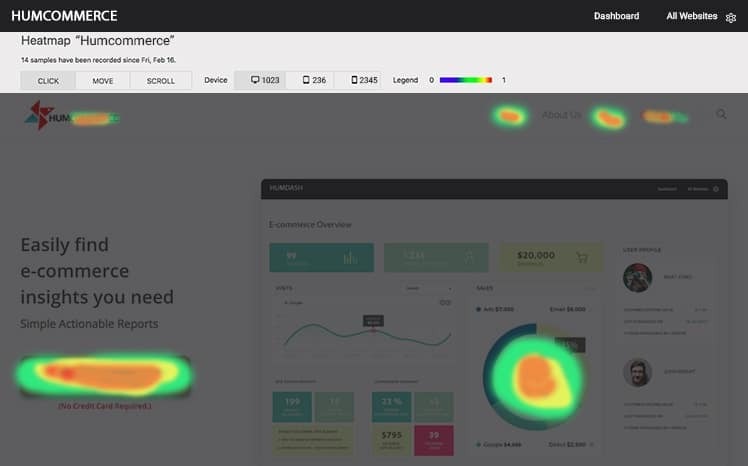 See which parts of your pages are getting the maximum clicks and engagement and which parts fare poorly using this powerful heatmap tool. You can analyze all the clicks, mouse movement and scroll data individually for each page. 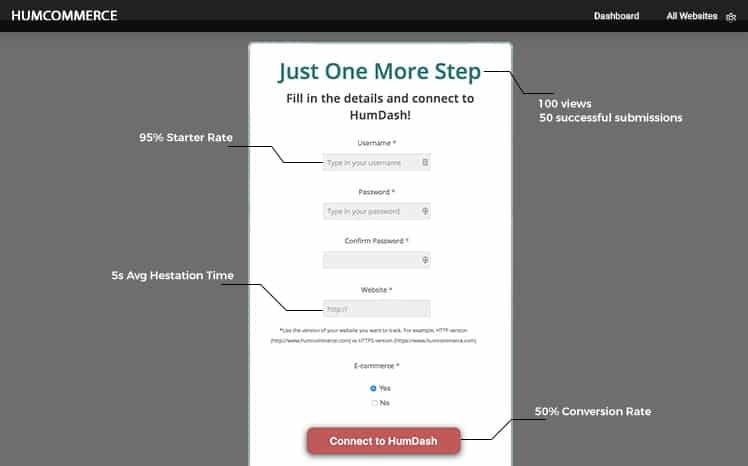 Record every movement of people who visit your website and perfect your conversion funnel using the data. See what steps a user takes before finally, he or she makes a purchase or drops out of the conversion funnel. See what works and what doesn’t by performing A/B testing on your website. Change button colors or mix and match the images on your pages to find the perfect design combination! 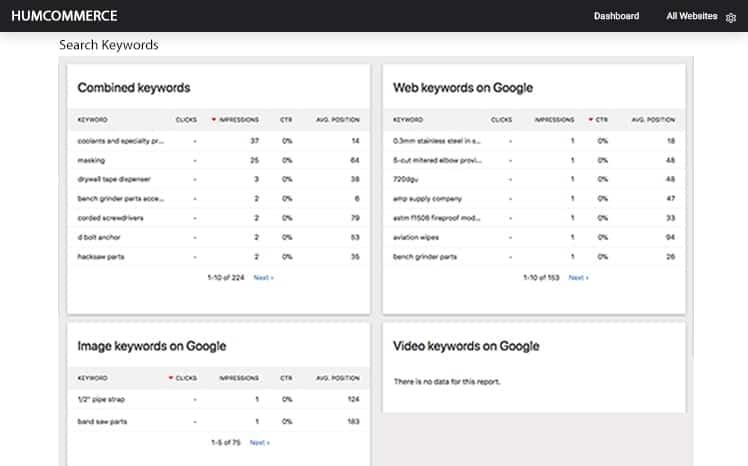 Find keywords for which you rank for on Google and Bing right in the HumCommerce Dashboard. 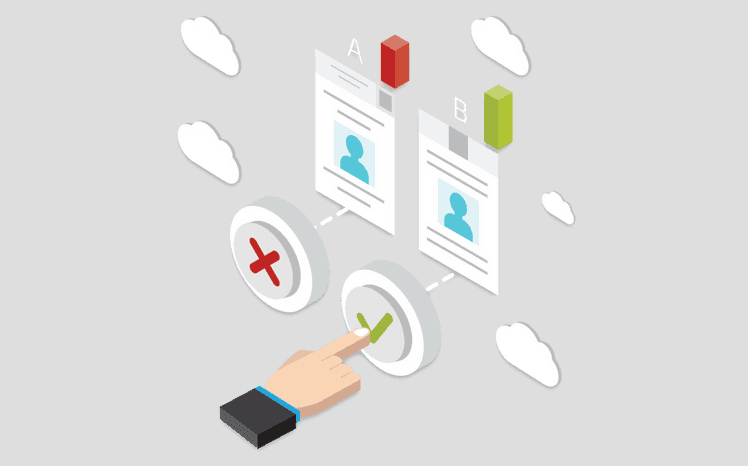 Forms are one of the most important parts of a website. 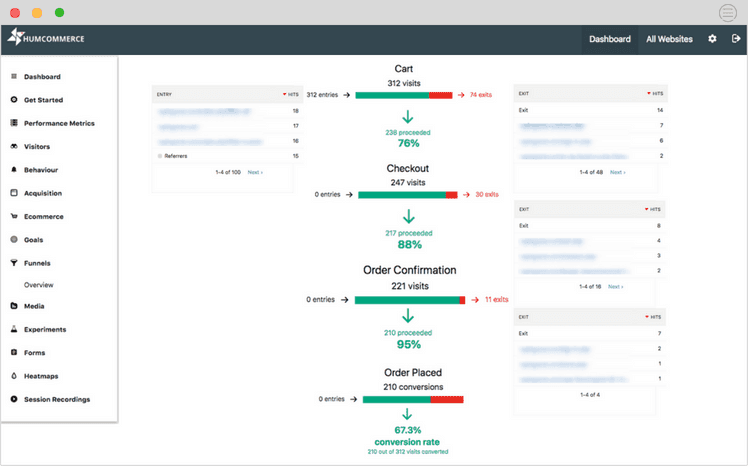 Automatically analyze your form conversion rate using HumCommerce. In a traditional e-commerce site, people drop out of a purchase funnel in every stage. Setup funnels in HumCommerce and track the user flow to optimize your purchase flow for maximum conversions. 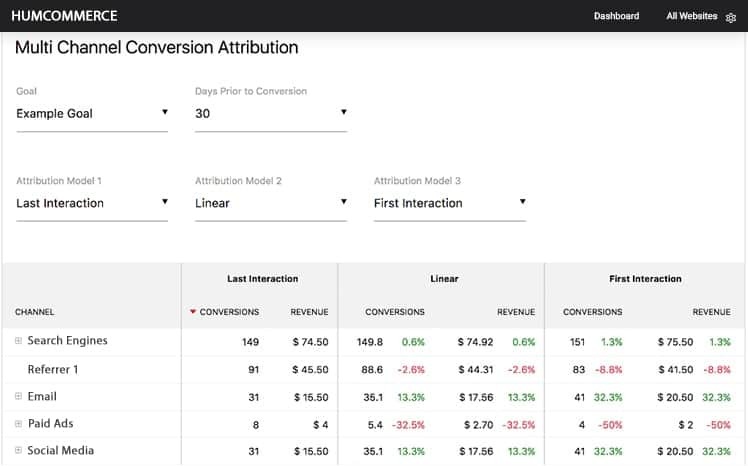 Choose from over 6 different attribution models to analyze campaign performance. 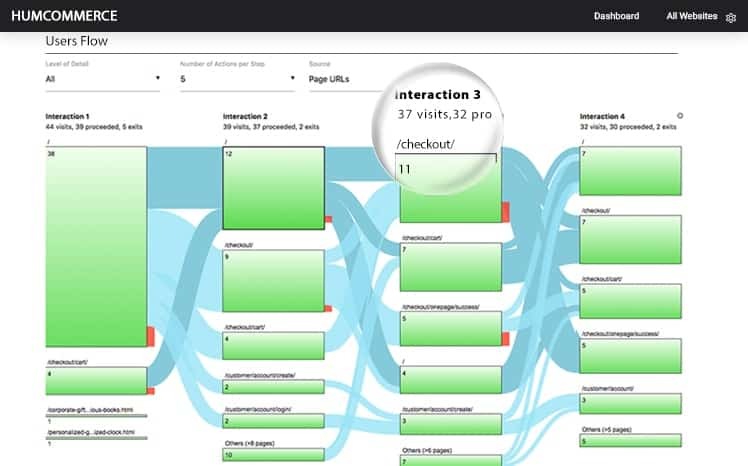 You can track all your campaign performance under one dashboard. Create custom reports to pull analytics data from e-commerce activity, visitor logs, website engagement metrics and more! Grab this powerful CRO tool for only $49!